The more important the event, the more important it is to have all the right lighting. 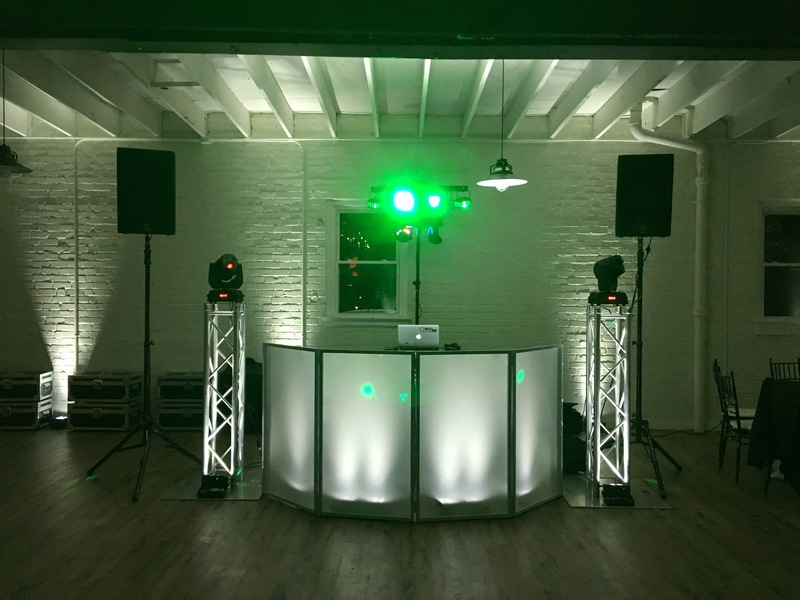 Whether it’s lighting that adds energy and visual interest or adding just the right style and atmosphere, All Around Raleigh DJ Company has you covered! We have all the cutting-edge lighting equipment, dedicated team and experience needed to set up and manage lighting for events of all sizes including the largest events happening in our area. 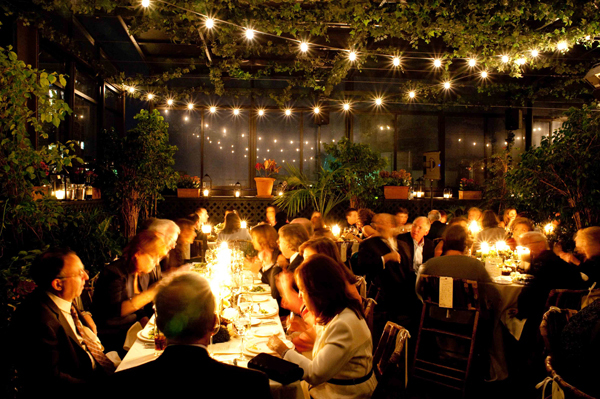 You can trust us to plan and manage every aspect of your large event lighting. We’ll make the lighting do exactly what you want it to do, meet all your budget needs and oversee every detail from start to finish. Our goal is for you to KNOW that the lighting is going to be great so you and your team can focus on the other aspects of your event. Nothing says class and sophistication quite like the proper use of uplighting in a large events space. We can accentuate any room with well placed upward lighting which essentially paints the room, pipe and drape curtains and other decor and lighting that’s both pleasant and functional as well. Our uplighting is able to be classy one-color static or dynamic color changing to add energy and dramatic cues. 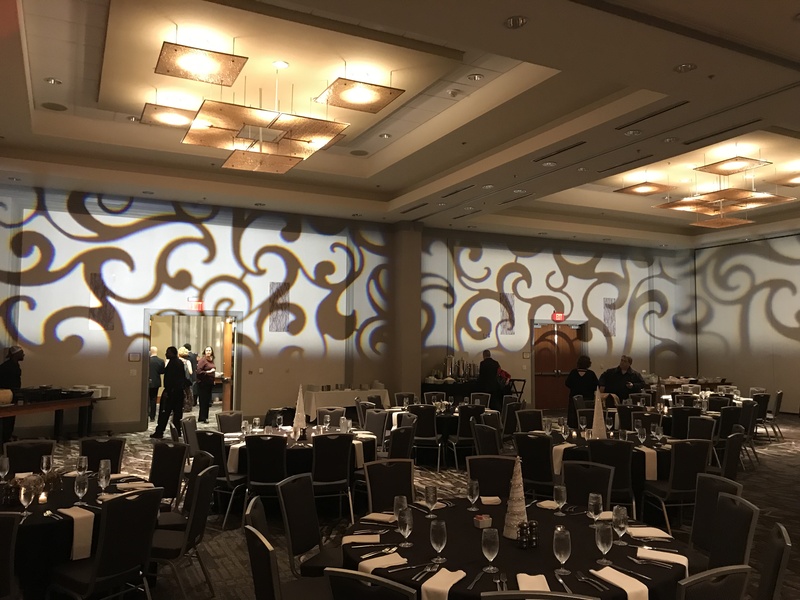 By using a projected texture design, we are capable of making a normal wall or ceiling turn into a really amazing and eye catching area of the room. 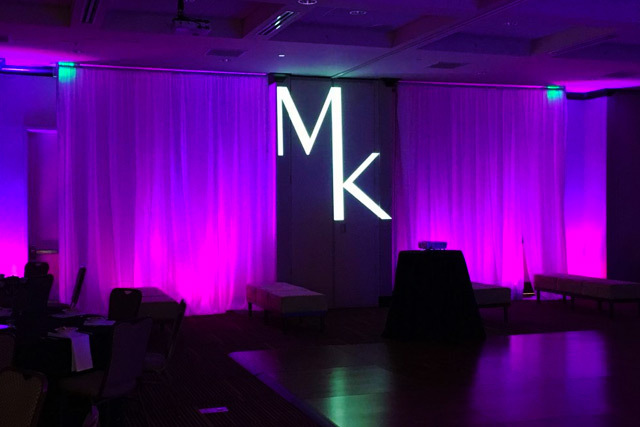 Texture lighting adds class and sophistication to your event! Project your logo! Draw your guests eyes up to recognize why they are at the event. We can project any color logo just about anywhere you want from the wall to the ceiling and even the floor! Add lighting to where you and your guests need it! We illuminate the table centerpiece to turn the attention to the beautiful details and really amp up the swankiness! Classy, clean and beautifully simple ambience! You can use our string lighting to light up the overhead area of your event and add just the right atmosphere that you are looking for. Tall, beautiful and dramatic! 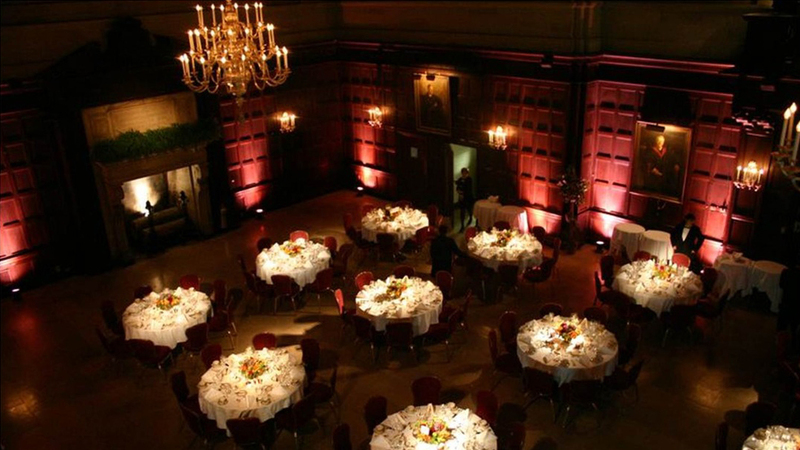 With uplighting, our crystal column chandeliers will add height and visual beauty to your event. If your event space has tall ceilings then these chandeliers are the answer for the ‘WOW’ factor! If the wedding cake is a beautiful and importance centerpiece then make it glow with a few spotlights placed to the left and to the right. 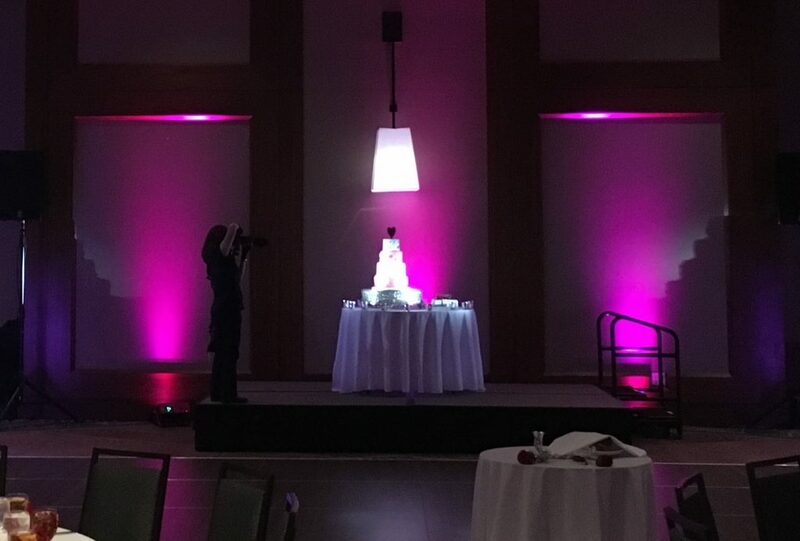 Without the spotlights used in the above photo this wedding cake was barely noticeable. When you add a well-designed light show to our trademark amazing sound systems you get a packed and energetic dance floor! We deliver high energy, eye-catching spotlights moving around the room and color changing effect lights matching the beat of the music. With All Around Raleigh DJ Company handling the lighting for your large event you get it all! We’ll consult closely with you, analyze your space and needs carefully and help you create the ideal lighting scheme to meet your goals. We’ll set up your lighting with professional attention to detail and manage everything closely from start to finish. It will look so easy that it will feel and look effortless to you and your guests. 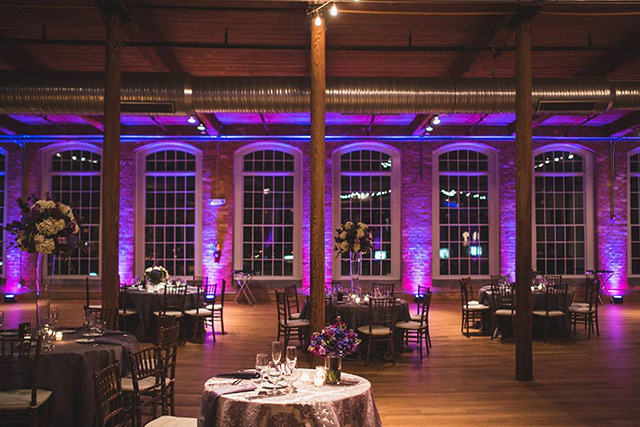 If you’re planning an event in the Triangle area then don’t delay! Call us today at (919) 757-8296 or CONTACT US to set up a consultation, discuss your event and talk about everything we can do together. You’ll get the best, newest and most professional lighting to help complete your amazing event!